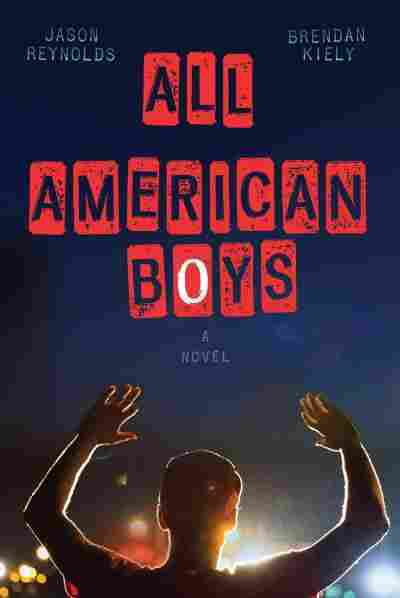 Authors Of 'All American Boys' Talk About How Book Has Sparked Race Discussion In All American Boys, a video of a policeman beating a black student goes viral. 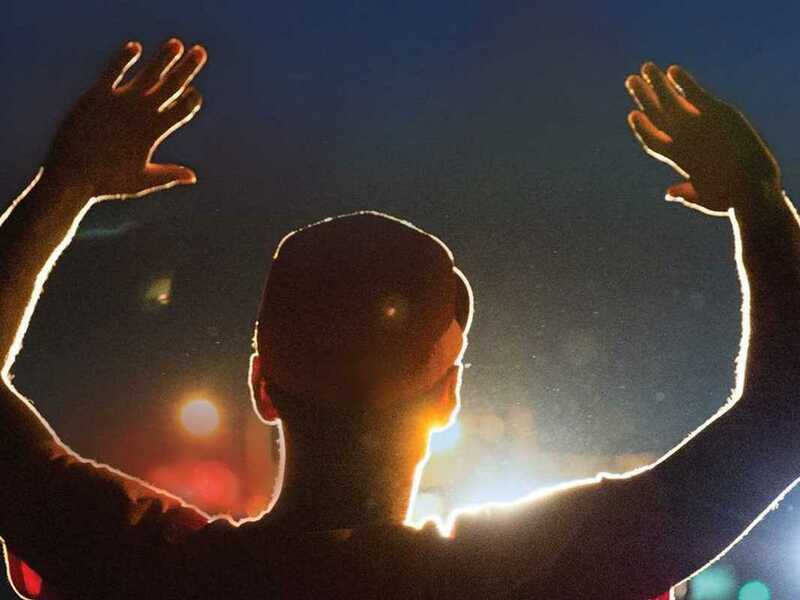 The book's authors, Jason Reynolds and Brendan Kiely, talk about how their story is sparking conversations about race. In All American Boys, a video of a policeman beating a black student goes viral. The book's authors, Jason Reynolds and Brendan Kiely, talk about how their story is sparking conversations about race. All American Boys, by Jason Reynolds and Brendan Kiely. Sometimes, a good idea and fate collide to create an interesting opportunity. That's what happened with "All American Boys," a young adult novel whose co-authors chose a contentious subject, racial profiling. Karen Grigsby Bates from NPR's "Code Switch" team talked with Jason Reynolds and Brendan Kiely to discover the story behind their story. KAREN GRIGSBY BATES, BYLINE: Brendan Kiely and Jason Reynolds were both authors with the same publisher, but they didn't meet until 2013 when Simon & Schuster sent them on a group tour of male authors. While they were on the road, a Florida jury found George Zimmerman not guilty in the death of Trayvon Martin. That sparked national outrage and protests. Jason Reynolds remembers his discomfort. JASON REYNOLDS: And so here I am on this tour. I'm angry, I'm frustrated, and I'm sort of wrought with emotion. (Laughter) And I'm traveling and living with a stranger. BATES: But soon he discovers he and Brendan Kiely had more in common than he thought. REYNOLDS: It turns out, though, that as the conversation eventually arose that he was as frustrated and as angry and as confused and as upset as I was. And so we started to talk about these things. BATES: They became not just colleagues, but friends and continued talking until something else happened the next year. REYNOLDS: And in August, Michael Brown was killed in Ferguson, and that was sort of the final straw. And Brendan actually came to me, and he said look, man, I can't take anymore. Like, we have to do something. Will you write this book with me? Can we do this thing together? And, you know, who says no to that, you know? 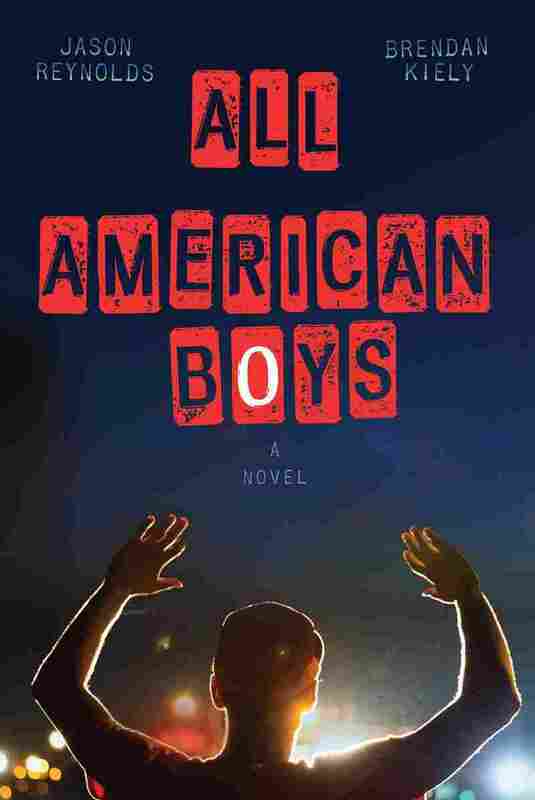 BATES: The result is "All American Boys," a short novel told in alternate chapters by high school classmates Quinn who is white and Rashad who is black. The tension is established pretty early on. Rashad is wrongly accused of shoplifting in a convenience store. A policeman in the store drags Rashad outside and beats him so badly he has to be hospitalized. Quinn is nearby. He sees the whole thing and just wants it to go away. But a number of people documented the beatdown on their cells and pressed send. Soon it's on the news and in social media. Everybody's seen the video except Quinn, who refuses to look. The policeman is a close family friend. BRENDAN KIELY: (Reading) No way I was watching that video - I wanted to erase the whole damn memory from my mind. But I couldn't because it was like the whole damn high school had been there on the street with me. Everybody had seen it. BATES: That's Brendan Kiely reading a passage in Quinn's voice. Kiely says Quinn is concerned but in an abstract way. He wants to pretend he hasn't seen Rashad get beaten. KIELY: But ultimately, he knows he can't because he has to acknowledge it and see it. You know, he might not be in the video, but he was on the street. That's a metaphor for him and, I think, for many of us in America, especially those of us who are white who have escaped this kind of brutality, to recognize that we do have a role to play, that we can't just shut it off and pretend it's not there. BATES: Rashad, meanwhile, has to convince his father of his innocence. His parents always instructed him how to act when he meets police to assure them he's harmless. Jason Reynolds says he got the same lecture from his parents when he was Rashad's age. REYNOLDS: Think people believe that as long as you carry yourself respectively that you won't be victimized. BATES: In this passage, Rashad's parents see him in the hospital for the first time. His nose has been broken, his ribs, too. One eye is swollen shut. REYNOLDS: (Reading) Ma was clearly horrified. But Dad - he had on that son-you-aren't-telling-me-everything look. And it was clear that, to him, I had to have done something wrong to bring this on. Well, were your pants sagging? - Dad interrogated, now back over by the door. Were my pants sagging? - I repeated, shocked by the question. What does that have to do with anything? BATES: Rashad's pants weren't, but that's beside the point, says Reynolds. REYNOLDS: And even if it isn't the case - even if a young person does have his pants sagging, that doesn't mean that he deserves to be brutalized. BATES: Eventually, the school then the town divide over whether the policeman who beat Rashad stepped over the line or was just doing his job. Neighbors don't speak. School friendships are broken. But Quinn comes to see that condoning racial profiling, especially when it results in violence, is wrong. He chooses a side. Brendan Kiely and Jason Reynolds say they hope their book will be a jumping off point for kids who want to discuss race, even when it makes their parents squirm. REYNOLDS: But no matter what the adults say, nine times out of ten, the young people are ready to talk. BATES: "All American Boys" may give them a way into that conversation.